We are distinguished by our deep and thorough experience in both Eastern and Western medicine and our professionalism. Most of all, we put your needs and your health first. Our clients love us. Please check out our testimonials page. Our son has suffered from seasonal allergies since he was four years old. We have tried a myriad selection of treatments for the past four years, but our son has not had any reprieve from his symptoms. After one session with Dr. Chi our eight-year-old was completely free of symptoms. He is now free of all medications after only two treatments. Thanks Dr. Chi! 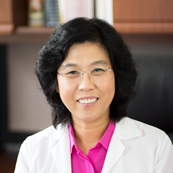 When I began treatment, I was experiencing daily struggles with back pain and should pain and wanted to focus on treating these issues with Dr. Chi. I benefited from the different treatments Dr. Chi had designed to impact my body and balance my energies. Over time I am totally pain free now. I have battled psoriasis for over 20 years. I turned to acupuncture after my dermatologist suggested steroid injections. The injections would have forced me to discontinue breast feeding my infant. After my first three treatments with Dr. Chi I noticed a positive change in my skin. After tonight’s treatment (#7) I am almost “psoriasis free”! I can not find words to describe how elated I am to be beating psoriasis without drugs. I have been seeing Dr. Chi for over four months. I feel so much better with the acupuncture treatments & Chinese herbs. Before the treatment, I was extremely tired & weak. The treatments have helped me regain the energy I need to recover. I have been to more conventional doctors that prescribed drugs. I would often experience adverse effects. Dr. Chi’s treatments have been much more gentler & effective. I thank God for Dr. Chi. Her positive energy and upbeat personality have also been healing to me, whether she knows that of not. I recommend her 100%!